The new UV-based CV finish came around some time last year. My 4003 MG (2009) has it, and it looks dark amber at some angles and pale yellow at others. Yours is probaby similar. In direct lighting (that is not usually what we experience in real life but is used for photos) it probably looks almost white-ish. Well, not really. In 2009 the wood sealer was UV cured, but the top coat was still CV. wow, you guys know your Ricks! It's cool how people in the company post here too. Not that it matters but I'm kind of curious which coating mine has now that I've read all this stuff about UV. I think it's neat how guitars change over time. I'm sure even with the UV covering. Friction is friction, wood wears down yknow? Look at a bar-top! I guess one of the biggest benefits to the UV finish is it saves time, because finishing at RIC is a very lengthy process. If you want to know what your bass has, decode its serial number (go to Service: Serial Number Decoder), then compare that to what CJ posted up above about when it was both coats versus just sealer coat like I guess mine is. 18 hours ago I didn't even know about this stuff! just chose the maple color, out the box, here you are, thank you very much. As for serial numbers and the manufacturing date, since 1999, it's really easy to figure out. The Jack plate has 2 numbers at one end, and more at the other end. The 2 numbers alone are the last 2 digits of the year. The first 2 in the other set are the week of manufacture, so, "02 23456" would be 23 week of 2002. ThorK,i was the same when i got my 4003,wanted to know everything about it and i worried over nothing. It's normal to feel this way but get playing her and your worries will fade away. Good luck with the mute,i'm sure just a little bit of careful bending back into shape will solve the problem. CJJ,that is one hell of nice grain on that bass!! Love it. Snakey- No worries here! Matters nothing to the awesome Rick I got! What's the saying, curiosity killed the...? hah! Hey that "yellowed" one looks good to me. Who knows maybe the UV will be all the rage some day, I guess those who bought a Rick recently are the guinea pigs for the new finish? hah! alright! fixed the mutes myself! called the shop they said yeah we can just swap out basses for another new one, I said ok but before I went down and give up my baby for another, I figured why not try and line them up like shown in the diagram! so i did, and they work, and honestly, I lowered them right back down! hah! oh also mine is 2010, third week. 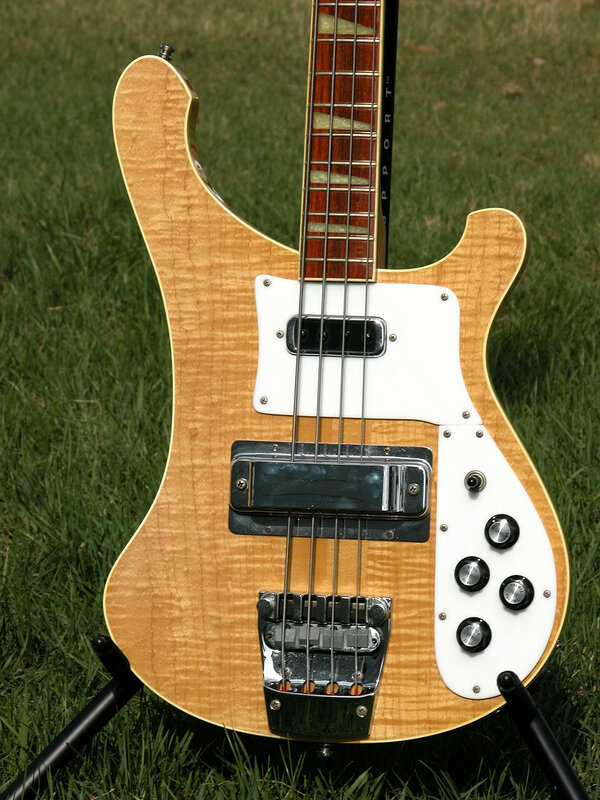 cool stuff, you rickenbacker nuts! thanks for all the help. Nice work Thor!! I think you will be happier for having done that than exchanging the bass since the issue was easily fixed. If I like a bass overall (feel especially) I work with the small glitches rather than risk getting a new one that I may not get along with.